THE RUSTY SPUR SALOON – Scottsdale, Ariz. 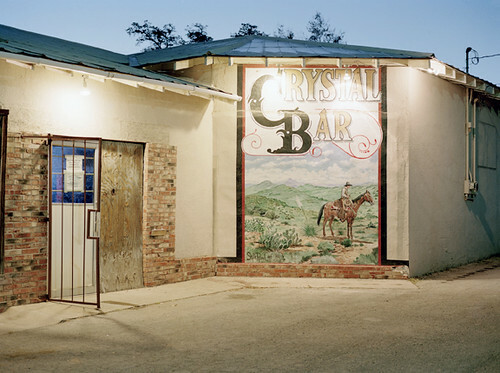 THE CRYSTAL PALACE SALOON – Tombstone, Ariz.
DIAMOND BELLE SALOON – Durango, Colo.
LITTLE COWBOY BAR & MUSEUM – Fromberg, Mont. NO SCUM ALLOWED SALOON – White Oaks, N.M.
LET ‘ER BUCK ROOM – Pendleton, Ore. THE TACK ROOM – St. Paul, Ore.
SALOON NO. 10 – Deadwood, S.D. THE MINT – Sheridan, Wyo. 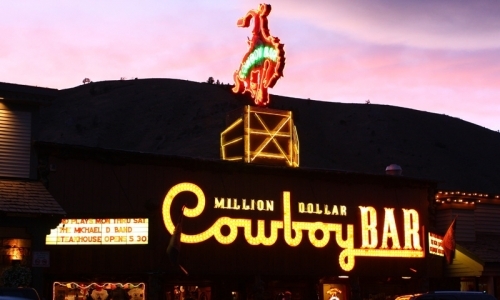 MILLION DOLLAR COWBOY BAR – Jackson, Wyo. THE BUCKHORN BAR – Laramie, Wyo.